Last week, graduate student Evlyn Pless, Professor Jeffrey Powell, and colleagues published their finding of multiple introductions of ‘the yellow fever mosquito’ into California in the journal PLoS Neglected Tropical Diseases. The yellow fever mosquito (Aedes aegypti) is notorious for the collection of diseases it can carry including Zika, dengue, and chikungunya. California officials first reported detection of A. aegypti in 2013 and 2014 for northern and southern California respectively. Pless et al found that the mosquitoes in the north and south of California were genetically distinct and the result of two separate invasions. The northern California mosquitoes resulted from an invasion from south-central US, and the southern California mosquitoes originated from the southwest US or northern Mexico. 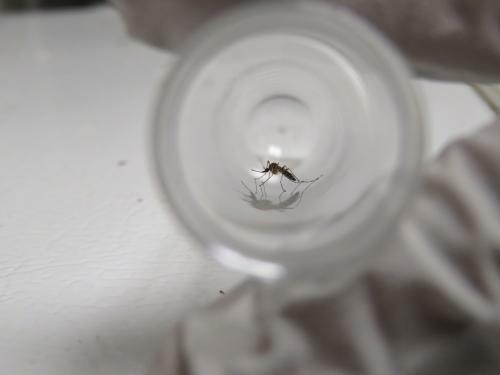 The authors also found that the invasions occurred at least several years before detection, despite California’s active mosquito monitoring program. They also discovered that A. aegypti – a species which is thought to perish in temperatures below freezing – had survived over winter in northern California, despite occasional freezes. These findings have implications for vector control, especially given climate change, and the ongoing lack of a vaccine for Zika, dengue, and chikungunya. You can learn more about this study by reading the YaleNews report https://news.yale.edu/2017/08/10/yellow-fever-mosquito-came-california-t... , or accessing the open source journal article http://journals.plos.org/plosntds/ .